In 2020, the Kura sushi empire is slated to go public on the United States stock market. But it's already been a booming success for its founder Kunihiko Tanaka, the subject of a recent Bloomberg profile who became a sushi kingpin from the unlikely beginnings as a humble vinegar salesman. Back in the early 70s, Tanaka peddled his acidic wares at sushi restaurants across western Japan. In the process, he noticed an opening in the form of what he saw as weaknesses in the sushi restaurant business model. There was little to no quality control, leading to inconsistent meals, and even prices weren't standardized or consistent across customers. Not only that, but the overall pricing put sushi outside the budget of the average person in Japan with the exception of a few special occasions per year. He sought to change all that by opening up his own sushi restaurant and leaving the vinegar sales to others. He did so with a borrowed sum of about $26,000 in American dollars, and in 1977, the first part of what would go on to become the massive sushi conglomerate Kura Corp was born. In 1995, the corporation was established, and now it's valued at an estimated $1.2 billion, with hundreds of locations all over Japan. "I believed kaiten sushi would keep the sushi legacy going. And I was right." That sense of automation is what drives the Kura brand, as its sushi is prepared with the help of kitchen robots, which help make the costs low enough for almost everyone in Japan to enjoy it – the main price point is about 95 cents, and it's remained remarkably stable over the last 30 years. Kura also distinguishes itself by foregoing any preservatives or additives in its sushi dishes. In addition to its sushi business, Kura owns patents on many of the devices developed to streamline its operations. 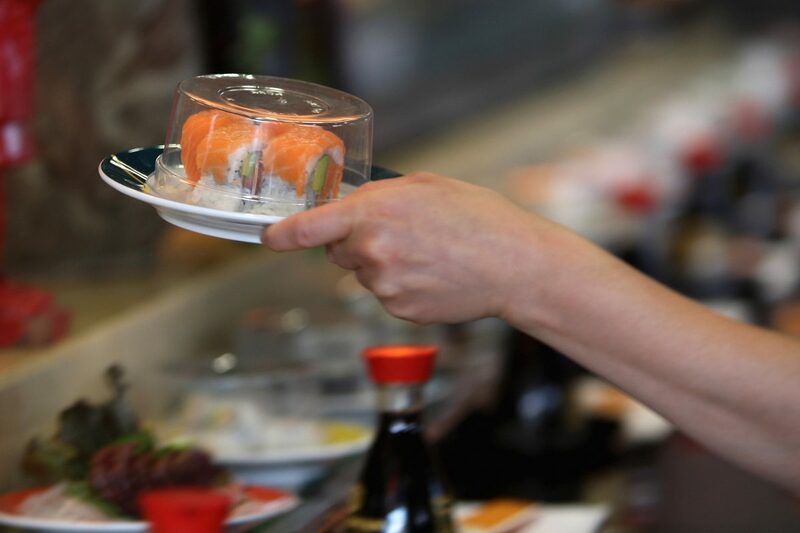 Mr. Fresh, or Sendo-kun, is the most famous of these, a special dome that opens whenever a customer touches his or her plate of sushi, minimizing contact with the cover and halting the spread of germs. "I'm not there yet, far from it. The real show starts now." One of his goals, he says, is bringing the Kura chain to Europe, which he hopes to do at some point in the future.